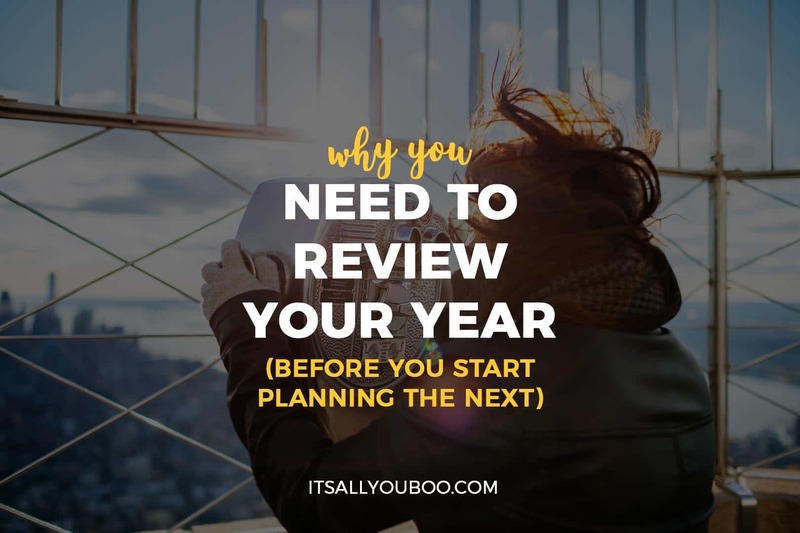 How do you review your year? What are the best end of year reflection questions? ‘Tis the season of contemplation and reflection. Can you feel it? There’s no better time of year than the end of the year, to take time to sit and reflect. To figure out and remember the highs and lows, and everything in between. Not just for the sake of reviewing, but for the sake of successfully moving forward. I’m not talking about giving it a quick ranking out of ten or the time you’ve been spending wishing that this year was just over already. So many of us commit to writing off the previous year as a failure, to focus on the new year, but without actually learning anything. This is a major mistake. Ugh, Why Bother Reviewing Your Year? What went right, what went wrong and what just went? Was it epic? Or more or less like any other year? Did you achieve everything you’d hoped? Or did things go not so great? You need to know! And it’s okay either way – the good, the bad and the ugly provide learning opportunities. You don’t have to wait until for the calendar to roll over for you to take stock of your year and chart a new course. You decide when you’re starting over or moving onto a new chapter in your life. Let today (no matter what date it is) be your New Year! We should review and readjust constantly and NOT wait for things to be falling apart or being at the end of our rope to look down and realize we need to go in a new direction. 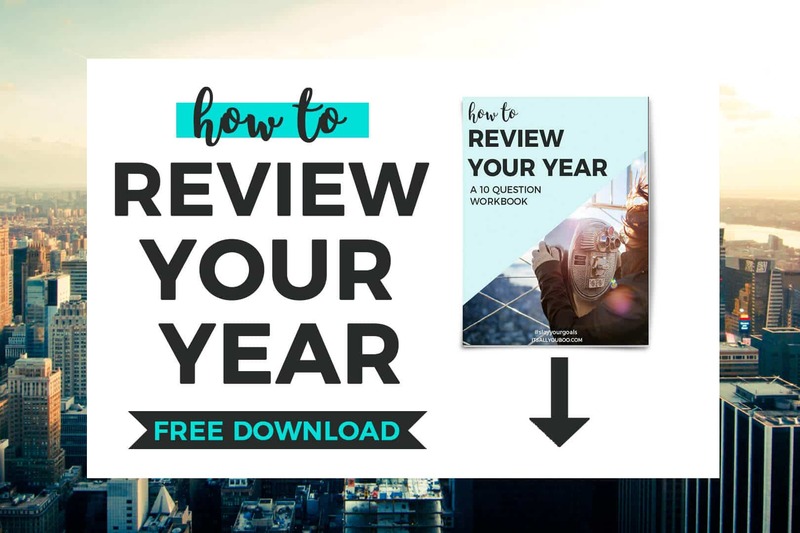 Plus, get your FREE Review Your Year Workbook with the ten essential questions you need to ask yourself about your last year BEFORE you start planning for your next. Yup, you have permission to look back just this once, and then move onto greater things. It’s too easy just to dismiss the year and cheer for its end. Like serious, “wake me up when it’s over. Nevermind, I’ll just set an alarm.” Have you seen the memes as yet? Trust me, I’ve been that person countless times. The middle of the year approaches or even it could be as early as February and I’ve already written off the year. Or even worse, just focusing on what you didn’t achieve, where you fell short, why you didn’t achieve your goals and all the disappointments along the way. What is it about “the bad” that sticks in our minds more than “the good”? Either way, all things are relative. It’s how we react in these moments and remember the memories that matter. And that’s up to you. To look back at your year with kindness and treasure your victories no matter how small or fragile they may be. Or you can choose to just “start over” without learning from the past year. What inventor would just throw away precious data or prototypes from previous trials and errors? That’s just bonkers. Don’t just try and erase your memories from your last year, look at the beautiful mess. Appreciate it, accept it, embrace it! Now, like TODAY, is the time to decide where you’ll be one year from now, or even where you’ll be tomorrow or next month. Will you be building on the momentum you’ve created or be frustrated to find yourself in the same spot (yet again)? Are you tired of feeling like you’re not making progress? Do you want to live the life of your dreams and achieve your dreams? Then start making a habit of reviewing your year, month or week. If you’re frustrated and maybe even a little pissed off about this year, use that. Don’t let that emotion, that passion for change go unused. If you feel disappointed, angry or even ashamed, it’s okay, as long as you use these feelings to take action. Turn these emotions into your jet fuel for your commitment and motivation to make it happen next year. And don’t wait for the calendar to flip over for you to start, just start now. 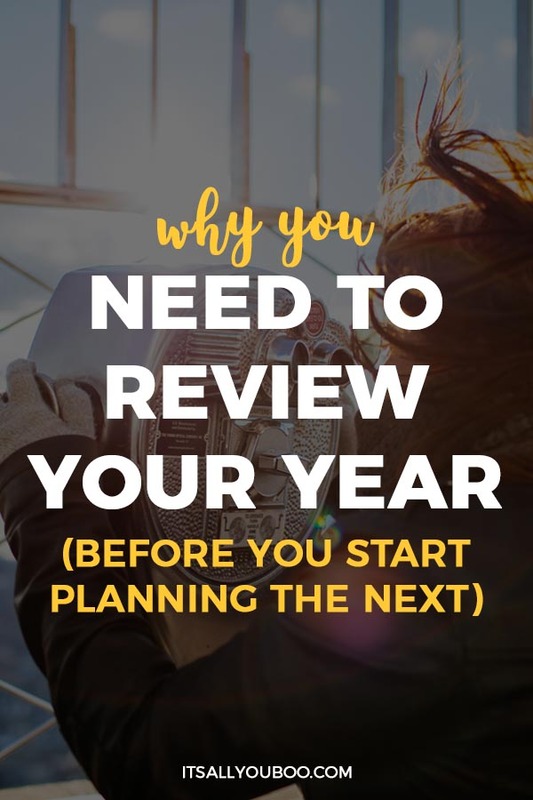 You need to review your year before you plan the next for many reasons. And yes, even better you think of New Year’s Resolution ideas or set goals for the New Year. At the top of that list is that it feels good and it’s a positive step for your self-growth and your own personal development. It’s a healthy exercise that we generally do not spend enough time doing. There’s this negative conception of “dwelling on the past” being a bad thing, but doing it in healthy measures is necessary. Without reflection, there is no self-awareness, no evolution. How can we do better, be a better person, if we haven’t learned anything about ourselves? Here are 7 reasons to do a personal year-end review. You really are your worst critic, so please don’t be negative or judge yourself. Let’s push the negative self-talk aside. Try your best to be positive no matter what happened last year. To choose to look on the bright side and see that rainbow after a storm. 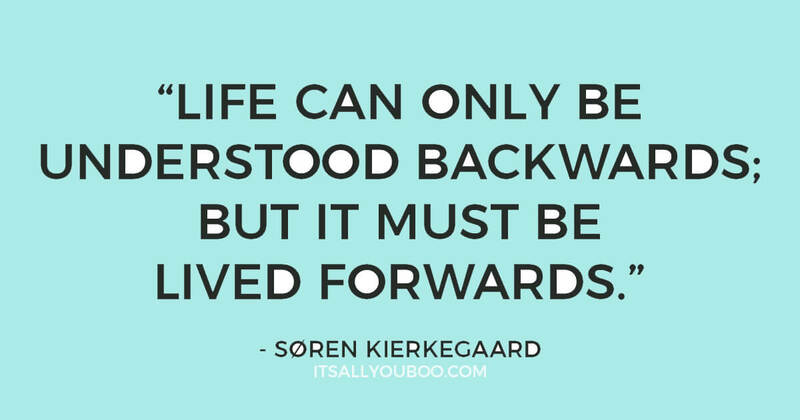 You have to look back with kindness. Don’t focus on your “mistakes” or the stupid things you did, instead be kind, love yourself. Everything is a learning opportunity, and a chance to do things differently next time, or the time after that, or even yes, the time after that. Every experience can be a teaching moment if you let it. If you go deeper than the surface emotions, of maybe frustration, embarrassment or even anger, to look for the lesson. I’m no stranger to making stupid mistakes, but I’ve learned to learn and laugh at them. Being able to laugh in the face of a blunder steals back the power these moments have over you. Did you have an “ah-ha moment”? Did you have an epiphany or revelation about something about yourself, your life, your circumstances, your future, your dreams and so on? A moment where everything is so clear when something finally clicks and you just get it. It’s usually a lesson that you’re brought back to, or proven true through multiple incidents or even linked to some good advice someone gave you. You need to hear something multiple times for it to sink it. What sank in this year? Unless you’ve kept track of everything that happened this year, you’ve likely forgotten just how much has happened. Our minds have this tendency to remember the bad, yet lose track of the good. What have you accomplished? 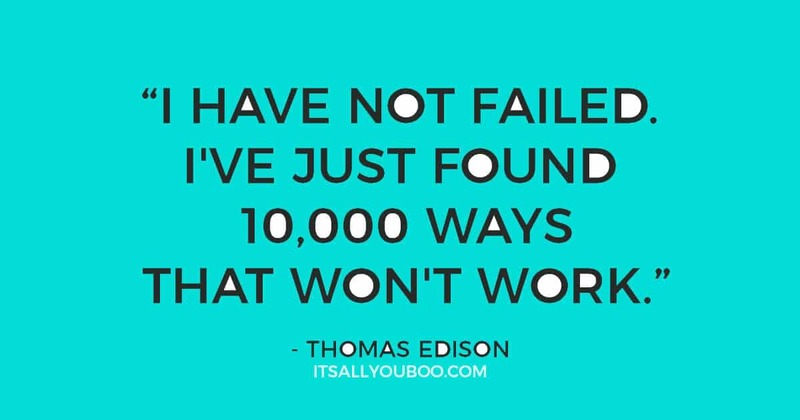 What success have you had? Remember, you get to define your success in your own words. Your accomplishments and successes are your own. No one (but you) can diminish them or take them away from you. You decide what’s a victory. So, what are you proud of? Did you have an amazing achievement? Something that excited you? Anything that made you feel so proud and accomplished? Did you achieve your goals? Even the smallest of victories can be built on. It can be whatever you want. Fix this in your mind. No matter how big or small, every resolution, goal or even a dream seeks to resolve something about your life you’d like to change. What’s keeping you up late at night? Do you complain about one thing alot? What drives you nuts? What area of your life is just falling apart? And even, what are you afraid of? On the flip side, what inspires and drives you? What gets you out of bed in the morning and keeps you working late at night? Find your pain (or pleasure), that’s where a good resolution or goal can be found. You need a strategic plan for achieving your goals next year. A major part of creating the best goals plan is understanding your strengths and your weaknesses. Knowing the areas where you need help and support in. The best way to figure that out is to identify your existing challenges. Why did you or didn’t you achieve your last goals and resolution? Maybe you didn’t even make one, or a serious one. It’s not serious until you’ve planned to do it, established accountability and actually take action. Getting it done relies on a balance of having a larger vision or resolution, specific goals, and a very immediate tactical plan. Basically, where you want to be in a year, the benchmark goals you need to fit to get there, and the tasks you need to complete daily or weekly. Toward the end of the year we can get this mentality of “ugh, nothings working.” As if we’re beating our heads against the wall, frantic that nothing we’ve done has helped us achieve our goals. That just not true! It’s impossible actually. Even failures, goal setting mistakes, and problems can teach you how to do better. If you’ve been having a rotten go at it, and things have been challenging, it’s okay! You can always learn something valuable from that. According to the original 80-20 rule, only about 20% of what we do makes a difference. I repeat, no matter who you are, 20% of your actions lead to 80% of your success. You need to figure out what your 20% is, so you can stop wasting your time. Bottom line, one of the main reasons to review your year is to figure out what worked and what didn’t work. So you can optimize your approach in the New Year. Just imagine how much time you’ll save, how much more productive you’ll be if you only did what worked. Quick question, do you feel like you’re making progress? Or does the process of achieving your goals just feel slow? Like you’ve gotten started, and you’re working hard but nothing is happening? Have you lost motivation and do you feel like giving up? Please, be honest with yourself. If this sounds like you, the problem isn’t that you’re not making progress, the problem is you can’t see your success. And it’s there, you just have to know how to look. When we’re focused on BIG, like changing event, we often miss the small changes that make a big difference. It’s the smallest actions that can lead to big results. Don’t be discouraged, instead change your focus. Stop looking at the outcome of your goals, and instead look at the actions, habits and small steps you are making. They are your building blocks for success. Even if that action seems insignificant, I promise you it isn’t. Keep doing those actions and tiny habits, they teach you how to be successful. One small habit can build into amazing momentum in the New Year. If you’re patient and if you let it snowball. How do you feel about last year? What were your greatest hits? These questions aren’t exactly easy for you to answer and require some reflection, but they are essential to making next year, your year. Warning, they may also be a bit uncomfortable to answer as well, but push through. 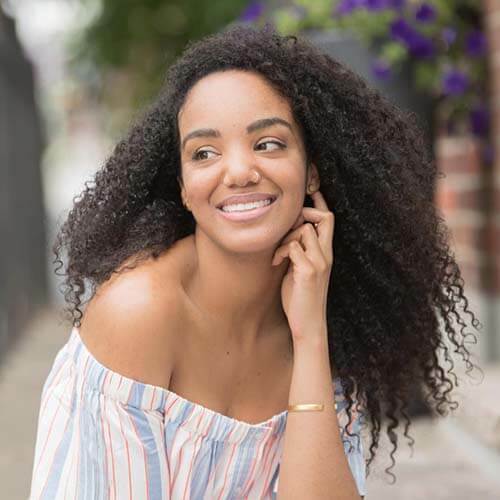 Be brave, look yourself in the eyes and have an honest conversation with yourself – an exercise that is probably one of the most important actions you can get accustomed to doing. Sometimes it’s scary asking these questions when it’s so much easier to just ignoring the truth and shrugging off the emotions. Just change the channel and think about something else. “Whatever,” right? Not so much. It’s just you with you, no one’s judging or reading your responses. How will you review your year? I really like the idea of looking back and reviewing all the hard work put into a blog or project (or life for that matter!). It can be so easy to beat ourselves up for not achieving particular goals without congratulating ourselves on the hard work or wins. Thanks for the reminder! I totally have like goldfish memory with achievements. Like “ugh, why am I not here or there.” Completely forgetting where I was last year, last week or even yesterday. I love the concept of a mid-year review. It’s way to easy to get into the New Years resolution trap. Every day is a great time to reassess and start over. Thanks! Girl I hear you but this year has been bad for ne from thw start I just want it to be over already. You have great tips and reasons why the time is noe. I enjoyed reading. So sorry lovely, I hope it gets better. I firmly believe that it’s all how you look at it and you can start over or begin again right now. I think that this is one of the worst years and I just keep hoping that something good will happen. I will try to follow some of your advice and see if I can put a light on some of the good things. Oh lovely, I am so sorry that you are having a bad year. Yes, shine a light on the dark, you only need a little bit of light the chase away the darkness. I am someone who would not be going back to review the year now! I did what I needed to in Jan this year and now am not going to dwell on any of it at all!! Well then Shalini, that’s great that you’re on track! Congrats. Totally agree with you. I write my goals monthly so I can evaluate where I did well and where I need to improve. I then chunk it into weekly goals so my overall vision doesn’t seem as intimidating. That’s a fantastic routine for your goals. Keep on top of it as you go. Why wait for the half-way point or even the end fo the year to look back. I always review and audit my year! It’s the only way you can see growth and what needs to be improved. That’s fantastic! I completely agree if you’re not paying attention or tracking your progress it’s so easy to think you haven’t had any. Yes, I too don’t believe in waiting for a specific time to start or do a re-eval of things. Even if it is done quarterly, it is still best to do them. Completely agree, it’s always the right time to review. Great post, I feel it is important for people to take inventory for the year. It helps make each year memorable. Great way to put it! We’ve all gotta take stock of our lives, why not now. I like to reflect on things often, so I can make adjustments going forward that make my present time even better! I’m glad you mentioned it not having to be January 1st for someone to look back on their past year…so many people wait for that one day! If you want to live your life to the fullest, absolutely review your year, regularly! I completely agree, we really can’t just wait until day one. The problem with that is if things go wrong we quit and almost sit around waiting for “day one.” I love that we can always make any day, day one. Considering we just up and moved to Colorado two weeks ago, there’s a lot of brand new right now. If we hadn’t been through what we just went through, I’d say it’s totally necessary. But with that comes so much that is brand new that I’ll have to make sure I’m heading in the right direction. Congrats on the move! Exciting and busy times for sure. It’ll be nice to catch up and chart your way forward once you’ve settled. I love doing this! It makes me feel good knowing that I’ve done so much before the year ends and how much more I need to do. It’s good ti evaluate your year! TOTALLY! It’s absolutely a great exercise and if we pay attention it’s sooo wonderful to know how much we’ve done. Great reflexion I think we all need to evaluate where we are so that we can plan ahead and learn from mistakes and experiences. So yes I am overdue for a year evaluation. Absolutely! Looking back for a second so we can go forward! Thank you for posting this! The 5 reasons to review my year is really nice topic! You are quite welcome, Julie! Best of luck Czjai! I hope you exceed your financial goals this year! Great ideas you have here. I really enjoy reading your post and I think I need to start doing it…. Thanks for sharing. Awesome, Rocky! You won’t regret it, and will probably be surprised about how far you’ve come. I always check in with myself – every week, to talk (with myself) about how my year is going and what I can do to improve it! We always have to stay AWARE about everything! That’s a great thing to do, we all need to have little chats with ourselves. See how we’re doing, and where we’re headed! That’s for sure! Doesn’t have to be fancy either, just a check in every now and then is always a great idea. I always take notes of what happened through out the year so I can appreciate the gifts! I try to ignore the negativity of the year though too – so I…. SMASH that out of my mind! LOL! That’s such a great idea! I really need to be better at tracking all the good things that happen so I’m not trying to remember what they are in December lol. You hit it with this one. Reviewing your year, your failures, successes, achievements, etc is the only way you are going to learn what works for you and what don’t. What you need to improve on and what you got to take a second look at, regroup, and refocus. Even your free products are amazing, I hope my first digital product can resonate with my readers as yours do. Thanks for all you do. Happy Holidays Nadalie.